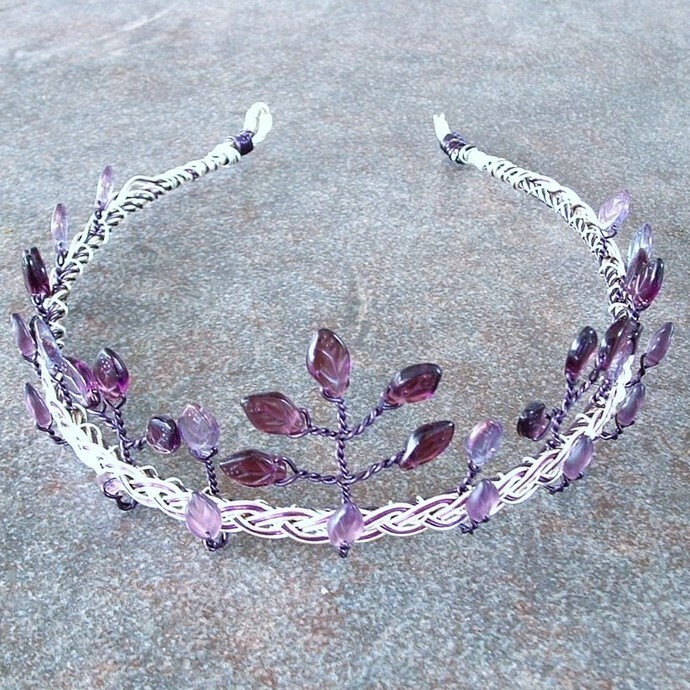 A purple addition to my Faery Circlet collection. 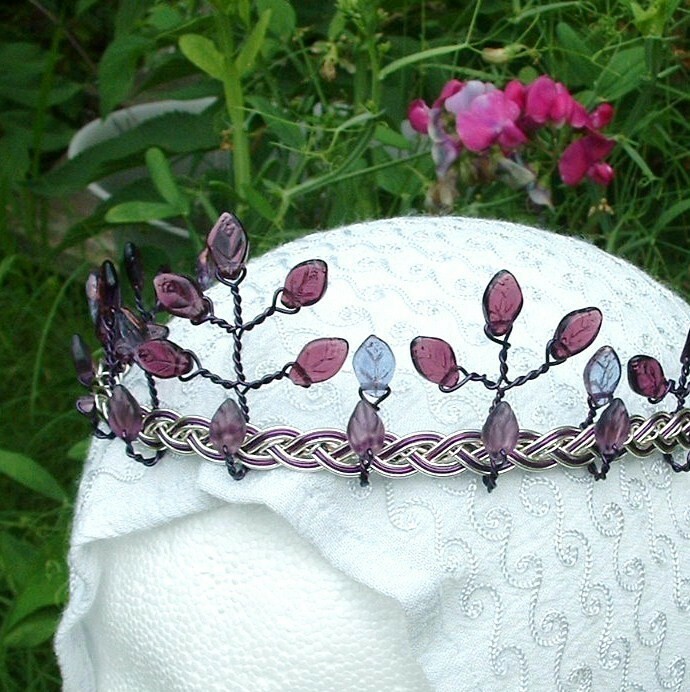 Inspired by the King and Queen of the faeries, Oberon and Titania, from the Shakespeare Play, A Midsummer Nights Dream. 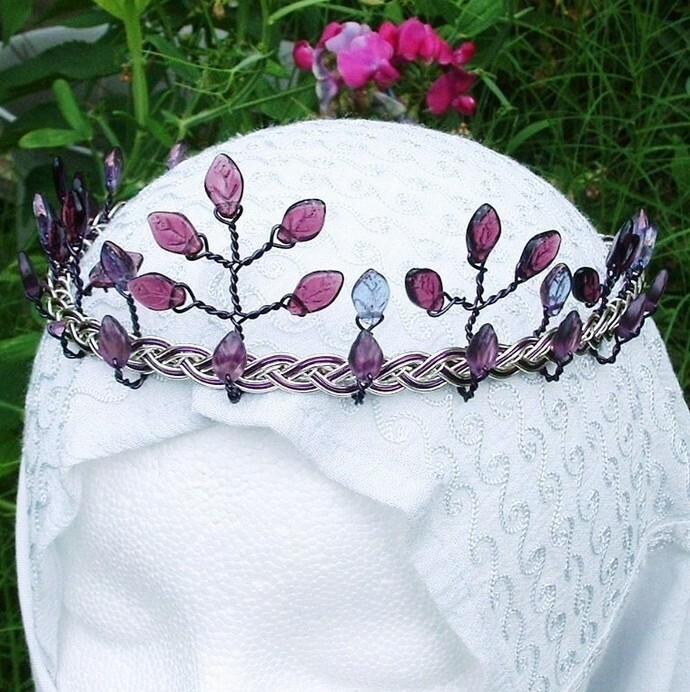 With a Celtic weave wire base, the crown has a spring feeling with violet and purple leaves, woven round a 3 x 3 silver and purple wire celtic weave.